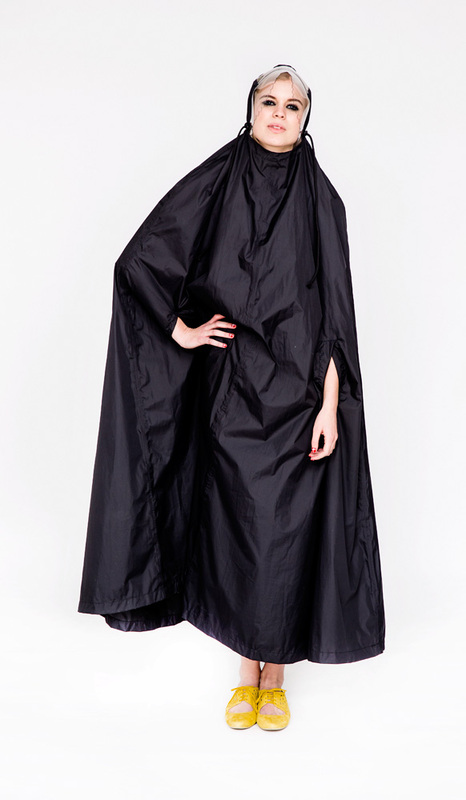 The available raingear on the market is typically bland and unflattering for style-conscious cyclists or pedestrians. 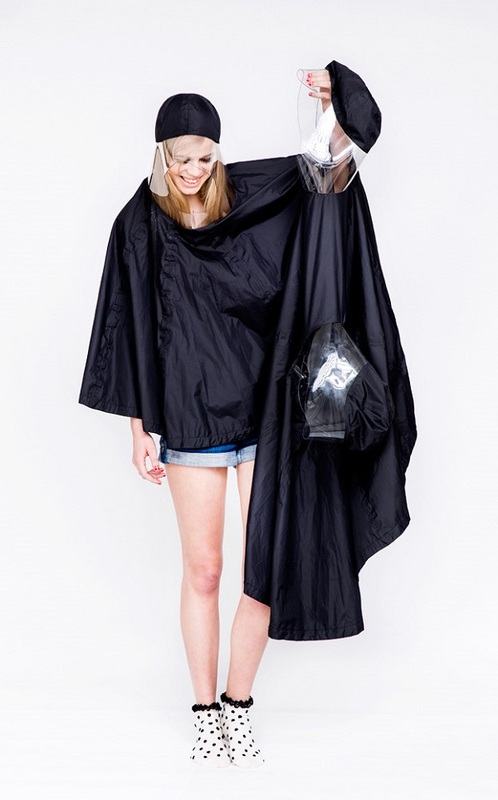 Copenhagen-based fashion designer Emma Jorn set out to create a line of feminine waterproof clothing. 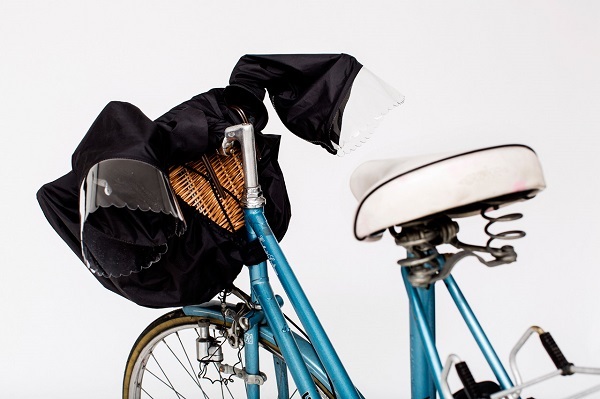 Called Takaokami, after the Japanese god of rain, the collection is not limited to the usual poncho and jacket, but also features a rain dress, skirt, floppy umbrella-sized hat and a rain snood for your bike basket. The collection was inspired by a trip to Japan where Jorn observed how the Japanese in Tokyo did not allow the rain to cramp their style. This gave birth to the collection that fuses Tokyo street style with traditional Nordic designs. The collection is also specifically geared towards cyclists—for instance, the skirt stretches in the back and is longer in the front so its easier to bike and your thighs stay dry. Takaokami has been shown at Vancouver and Copenhagen fashion week, and is now crowd-funding on Kickstarter.